Why share information that you would normally charge for? 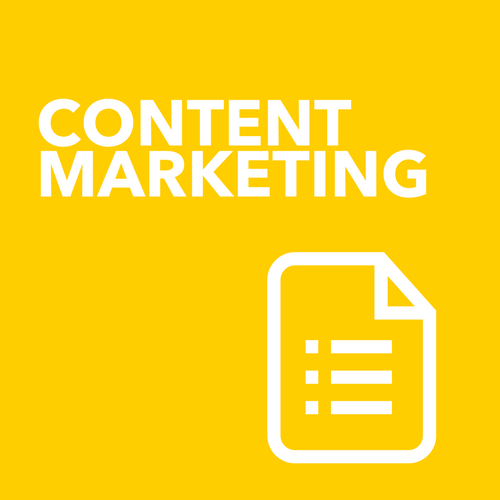 Content marketing is a critical factor in successful growth plans of any business, yet many professional service firms that I work with struggle with the idea and implementation of a strategic content marketing plan. They particularly struggle with the idea of sharing valuable information that potentially they could charge for. Where they are wary, I am encouraging them to lean in further and create content of real and long lasting value for their customers. What is Content Marketing and why is it so important. Search and social don't work if you have nothing worthwhile to say, share or be found by. A shiny new website will not generate one dollar in sales if you have not actioned to the key information you need to provide to your prospects and current clients. I talk a lot about the 4 key areas of the Digital Ecosystem ( being Web, Social, Content & Search) and I firmly believe that content needs to be the prime area that drives so much of your sales pipeline and future success. An ugly out of date website will still work better if a content marketing funnel is in place to attract and drive conversions. So what are your specifically trying to achieve with Content Marketing? Content Marketing is not ‘selling’ per se, rather it is doing many things that combined together will drive sales. Breaking down the why of content marketing further, these are some of the key reasons you should be sharing what you know. Positioning your firm’s services and differentiate against your competitors. Your competitors are already using content marketing, don’t leave a vacuum in your space for them to fill. Demonstrating your knowledge and expertise. Don’t assume people clearly know what you do. Most people do about ¾ of their product research online prior to making a call to then discuss next steps. 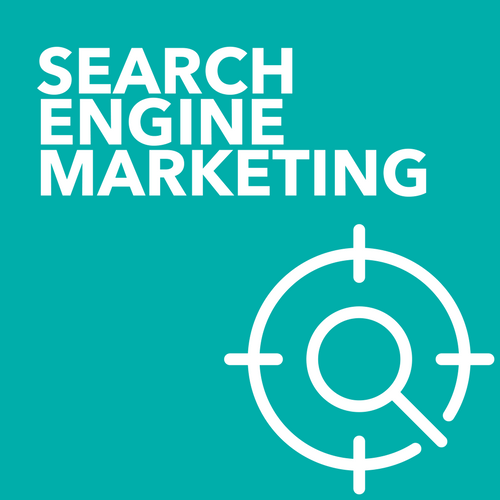 Appearing high in a targeted search result depends on many factors, and a regularly updated and search engine optimised site is one of those secret google criteria. Creating authority and showing yourself and your firm as thought leaders in your industry or sector. This can mean many things to many people, but is particularly useful in the professional service space. People gain impressions from what we do and what we say - both online and offline. We need to make sure that we become known for what we want to be known for. When you are looking for a service provider, how do you ‘know’ about certain firms or people? We know this from what we hear, what we read and what other people say about the business or people both online and offline. So it is important we have a say in this narrative. We need to make sure that we are spreading a message about our business that we control and that builds trust in our target audience or for those people who will be advocates for who we are and what we provide. 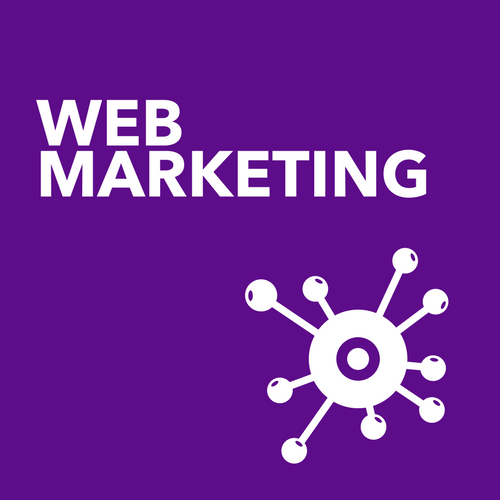 Generating valuable website traffic from people you actually want to do business with. Creating content that is focussed on a particular pain point for a potential client will result in more targeted web traffic. When a person has a need or a question, we often just type it into Google and scan the results. If you create specific content that answers a specific need, then when people are searching for answers, they will find you amongst the list of potential solutions. 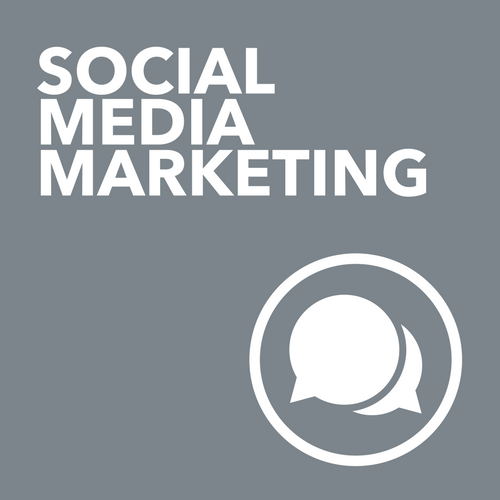 Generating social engagement from clients and prospects. As mentioned above, people come to know about us from what people say about us (both online and offline) so make sure that our social media presents a strong and coherent message about our brand, our expertise and our offer in the language of our clients is so powerful to drive leads. Supporting the sales process with valuable materials. Build on what you already have in your flyers and promotional material that supports the process of getting people from merely skimming information to taking action. There are many elements that can for part of the content marketing facet of your digital strategy. These can be more than just writing a blog post or sending an email campaign. Content is anything that you are sharing in the public space ( website, social media or video sharing platform) or within an email sequence. So think about all the videos, photos, webinars, case studies, white papers or even trials of a tool that you may share or make available. All of that material helps to position yourself in your market in a far more sustainable and long term manner than advertising can do or even your traditional referral networks. So when confronted with the range of material that you might utilise or create, professional service firms often often a facing a common set of barriers that prevent them from creating content or potentially creating the wrong kind of content. I don’t want to give away my ‘secrets’ for free. This is a tricky one and usually the very first hurdle. Valuable content marketing needs to be at a deep enough level so that people can readily see that you ‘walk your talk’. Don’t worry so much about the idea of ‘giving consulting away for free.’ You really aren’t. Most of what you are sharing online in a consulting sense, someone else is likely to have already shared. Just because we can spend 15 mins researching a problem on Google, does not mean that we become an expert at it, can implement it without help or can make long term changes to secure our future growth. You are and will remain experts at what you do, do amount of blog posts sharing value are going to make your business irrelevant. The opposite in fact is true - if you don’t share your worth online and regularly to your ideal client/audience you will become irrelevant to them. The true value of what you do is in the relationships that you develop with clients. You need to demonstrate your expertise so that people will be convinced to hire you. Time spent on content production is time spent away from fee earning. This is a big one as for many professional service firms, time is money - this is effectively what you are selling and tracking. So time away from this task, particularly if your firm does not have a dedicated marketing resource can prove tricky. But it’s worth it, for the reasons outlined above. It’s often difficult to get ‘buy in’ from senior decision makers. This is often because they can be resistant to building a flow of leads from non traditional methods, like their referral networks. The only way to change this mindset is to focus on accurate reporting and ROI measurement over the long term. Content marketing is not a quick result tactic, it is a long term approach, that may score some quick wins, but it is designed to provide an overarching, consistent flow of traffic and leads into your business with the added benefit that your existing customers can more easily become advocates for your business as well. There’s always budget for things that can be proven to work. There is often a budget for a new website ( something that can seem readily more tangible), but a shiny new website is not likely to create more leads for you, unless you think strategically about the content contained within it. Before you spend money on a significant advertising campaign, think about what content you actually need to support that campaign. Start small with your strategy and demonstrate results. You don’t need to start writing blog posts every day, build out complicated email marketing sequences or suddenly appear on all social media channels 24 x 7. You should pick and choose the how of what you might create and the where of where you might share that. Any content marketing plan needs to make sure that you are focussing on the right kind of information for your market. This requires some serious analysis of your ideal clients, what their pain points are, being clear on what you really do to help them. Focus on topics you are experts in or work you do exceptionally well, don’t try and cover all bases. Any successful business knows that you we can’t be all things to all people. I often quote Sue B Zimmerman when she says - “There are riches in the niches”. Focus your content in the areas that you really understand well, so that you can produce content on more easily, more cost effectively and more timely. This can go a long way to alleviate concerns from more senior management about time spent creating content in the first place. Pick the content areas you feel you can excel in, distribute the content effectively and measure the results. Then use this reporting information to optimise your strategy and grow your content plan. You don’t need to go big or go hard when getting started. Be mindful of realistic time and budget constraints. Think beyond just having a blog. Go Deep & then Repurpose. A great way to start your content strategy is to start off with one big piece such as a white paper or detailed guide or even a video webinar, that you then can break into smaller pieces that could be blog posts, quotes for social media, video snippets. You can make your long piece of content stretch much further with this approach. Particularly useful is when you might record your content direct to Video and then send the video to an online service like Rev.com or Fivrr.com for transcription so that you can then have a blog post ready to go. Who are they? What do they do? Where do they hangout? What are their challenges? Creating a customer avatar is so valuable when developing your content strategy to ensure everything you produce is on point as well as making sure that if you have multiple customer types that your content is then planned across all those groups and not just one area. Have goals and set targets. Even if you have the most detailed content plan, there will always be curveballs such as legislative updates or newsworthy stories. It’s important to make sure you stay relevant and show that your firm is on top of the latest changes in your industry. This is really critical for Professional Service firms, particularly in make sure that your content curation skills are also at a high level. Sharing the right kind of content that is trusted within your space is critical to positioning you as a thought leader. People often neglect to think about the material that they may already have ready to share within their business that is perfect as a piece of content. By leveraging what material you already have, you can actually reduce some of the barriers to creating content in the first place. That great movie with Kevin Costner in it about the baseball field is often how people view their content - if you build it they will come. Unfortunately, that is not how it works. We need to share our content widely and often. These are just some of the ways you need to tackle this task. When I have a new parcel of content ready to go, I like to share it across all my social media channels in various ways and styles depending on the channel. When I post something new to twitter, I tend to repeat the post over several days to ensure that it can be seen ( as twitter is such as fast moving stream of information) What I also do with my posts is re-queue them to be shared again in the future using my preferred scheduling tool Sendible. This ensure that content I share today, for my current audience, will be seen by new people in my world well into the future - the content becomes evergreen. Please note that your social channels are essentially community building tools and not distribution channels per se. If you only post your content in them ( particularly Facebook) and never share anything else from other people or engage with your audience in a genuine way then the likelihood of the algorithm letting your content be seen by your followers is going to be diminished. Engagement with others is the key to successful social media, particularly when you want to grow your online footprint. Make sure that it is easy for site visitors to find your new content quickly at your website. If you have a new blog post, a new webinar a new tool that they can try, make it visible with eye catching cools to action that draw people in. Don’t hide your new information away within your existing website structure. Ensure you have dedicated landing pages that people find from a search result or from a dedicated ad campaign, so that they can be directed exactly where they need to go to access the relevant piece of information and not get distracted by other pieces of content at the same time. Make you have content answers your clients questions and then make sure that SEO queues that you need to put in place to let Google know about that content exist. Key SEO tips include understanding what the keyword or prase is for your page and then making sure you have unique Page Names, URL’s, Page titles and Meta Descriptions and subheadings that tie in to that key word or phrase. Promote your content using paid advertising methods. Organic reach is more or less dead inside Facebook and depending on how active you are inside each social platform, your content may not be seen a large proportion of your followers unless you pay to play. Tell your existing clients and prospects on your email marketing list about it. Don’t assume they visit your website regularly to see what you have been up to, share your content readily with them. If you know your audience and you are sharing information that is of actual value, you will keep them engaged and interested. So don’t worry about emailing them to often. Keep a segmented list so that you can send the right content to the right people, this will help to keep your unsubscribes low and your client interest level elevated. Don’t discount sending a real item, or delivering an information pack. People still love to receive real things so this is a great way to do something special for your more high value clients or potentially high value clients. . Host live or virtual events to showcase your product, provide insight into legislative changes or share your knowledge in an lunch and learn activity or after hours event. Become the go to person in your space - online or offline. Don’t forget to be seen and be active at other people’s events too. Approach relevant industry publications to see if you can get your content published on their website or in their magazines. If you can be a guest blogger for industry websites, this will provide valuable backlinks to your website and help to boost your website inside Google search results. What is your business doing or not doing in the regards to content marketing? Have you considered going ‘beyond the blog’. Are you using your social media channels effectively to distribute your content in a strategic way? If you would like to chat further about this critical element for your online business success, book in to chat with me now.